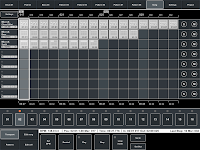 MIDI Pattern Sequencer is a tool with powerful and at the same time very comfortable, intuitive and easy interface. It is the main feature, through which the sequencer can easily used by anyone, from beginner to professional, and everyone will find it most necessary for their own purposes. The sequencer does not produce the sound. 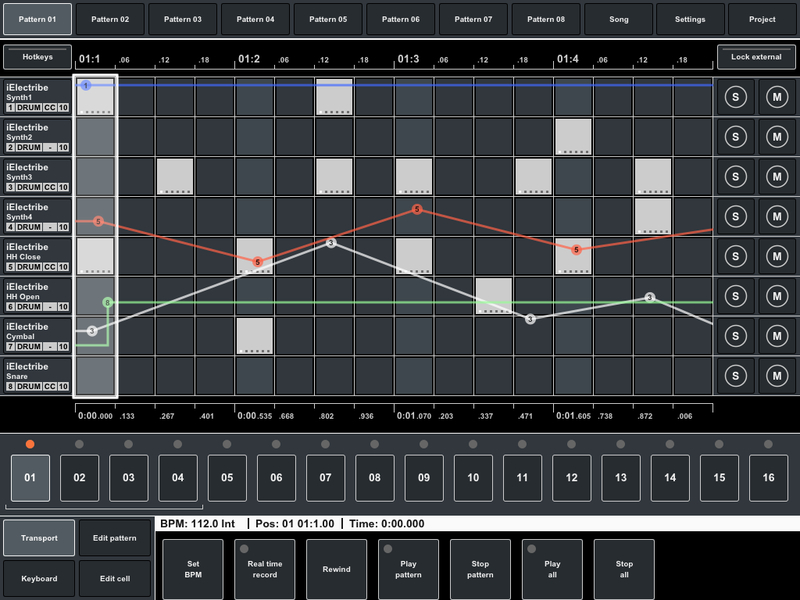 It is designed to control via MIDI any external sound modules, samplers, synthesizers and other applications running on iPad or another computer. 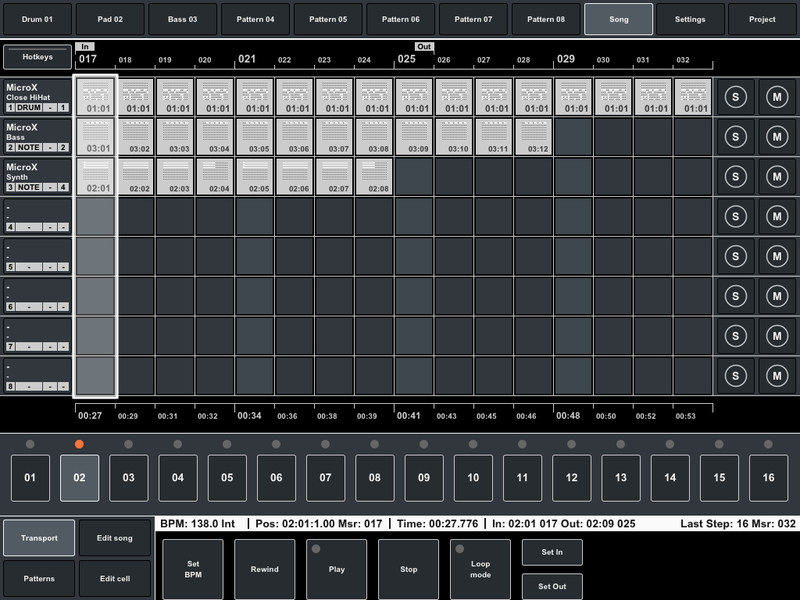 Full support for external MIDI interfaces, network and virtual ports, synchronization with external devices and transport control makes this sequencer like playback control center for music devices or other applications. 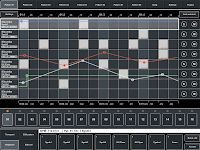 The main purpose of this application is that it should be an indispensable tool in creation of final composition or experiments with rhythm and phrase patterns. 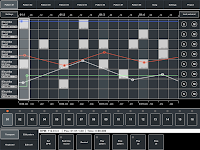 At home or in studio, among many other devices and music applications, MIDI Pattern Sequencer helps in creating original music, but will not draw away from main thing - your creativity. This application it is work tool that can be operated with one hand, even with one finger, everywhere wherever iPad is located in your workspace, wherever you can reach out. User interface is designed so that all features of the current mode are available immediately or through one or two steps. But at the same time the interface does not have complicated gestures, very small elements which are inconvenient for clicks, clumsy scrolling and distracting realistic interface elements. Just only single click and move faders. It is simple. And thus the structure of application remains clear and easy to add new features without complicating the main conception. 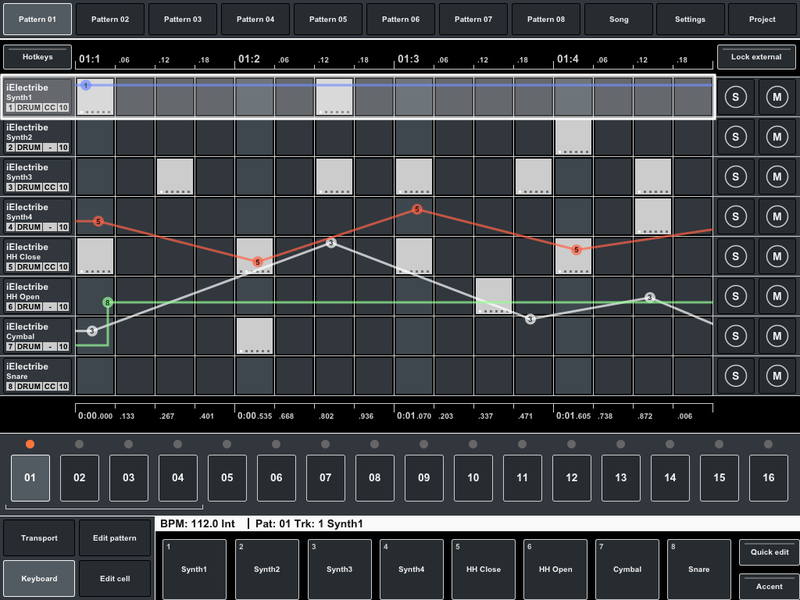 Drum pattern in Transport mode with track automation. Drum pattern with pads for editing/recording.